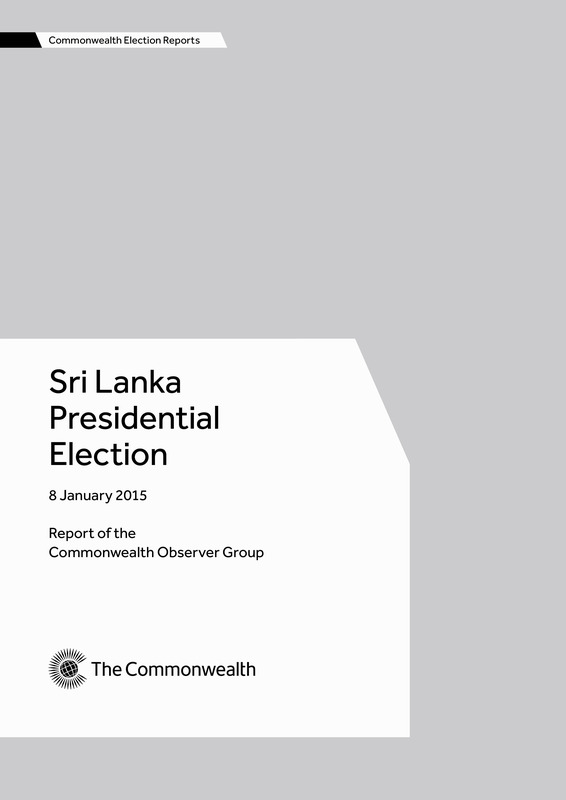 The report of the Commonwealth Observer Group for Sri Lanka presidential election held on 8 January 2015. The group was chaired by Dr Bharrat Jagdeo, former president of the Republic of Guyana, and comprised eight eminent persons in total. These were important elections in Sri Lanka as an incumbent president was seeking an unprecedented third term in office under a recent constitutional amendment. This was evidenced by the impressive voter turnout of 81.52 per cent on election day. The group found that the outcome of the election reflected the will of the people of Sri Lanka. However, an inadequate electoral and legal framework coupled with an unequal pre-electoral environment meant that the electoral contest did not comply with all the key benchmarks for democratic elections.